Angela Schwarzkopf recently completed her Doctorate of Musical Arts at the University of Toronto, where she studied with Judy Loman. What’s your favorite memory from a YAHS summer? Angela: I would have to say my favorite YAHS memory is the final concert. It is really awesome to see the product of all the hard work during the program and the amazing friendships formed. What’s the number one thing you want students to learn from you? Emily: I hope they can learn to find their unique musical voice and how to express it through the harp. Tell us a little bit about your harp history. 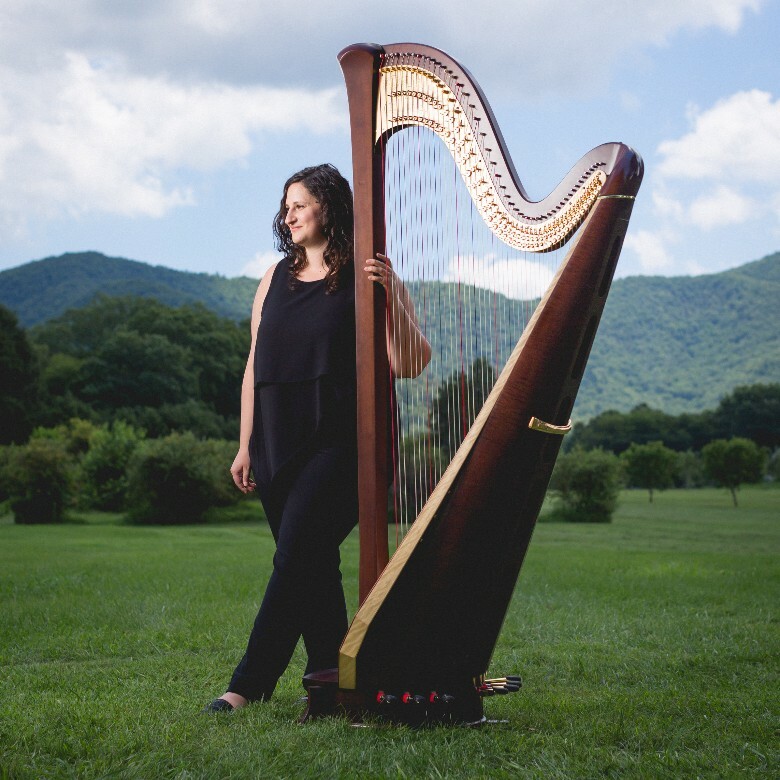 Emily: I started harp when I was five, after a year of convincing my mom I preferred harp to the cello. I studied harp and history at Indiana University for undergrad, and then did my masters degree at Juilliard, with YAHS Guest Artist Nancy Allen! I’m now in my 2nd year as Principal Harpist of the Dallas Symphony Orchestra. When I’m not playing with DSO, I do a lot of performing as a soloist and chamber musician. 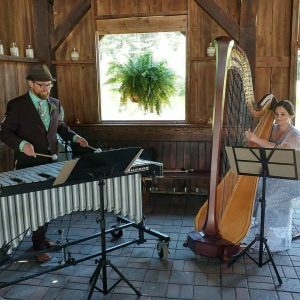 We’re lucky as harpists to have a wide variety of performance opportunities! 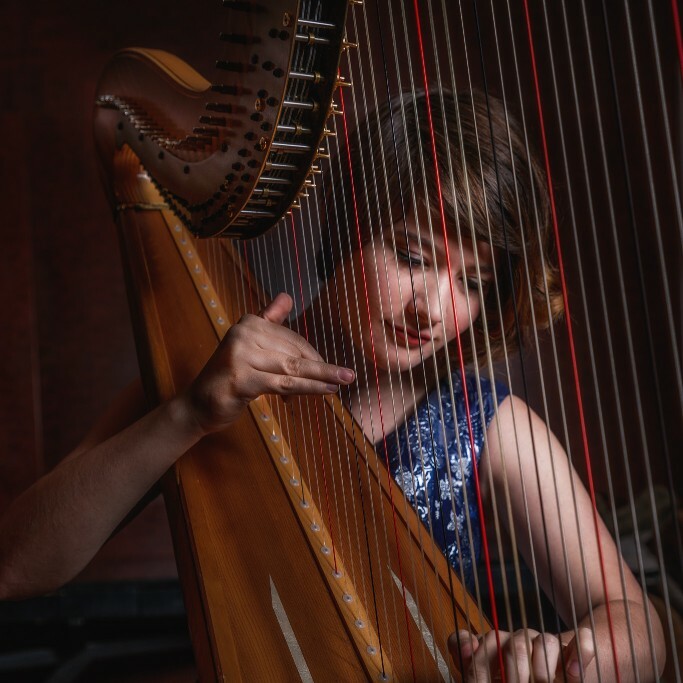 Emily Levin resides in Dallas, where she is principal harp with the Dallas Symphony. 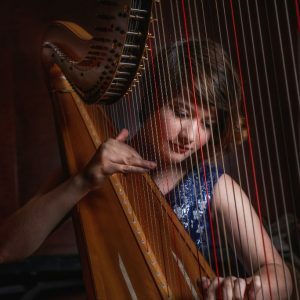 Angela: When I was ten my parents told me I could pick any instrument out of the orchestra to learn and I picked the harp. I had my first lesson on Valentine’s day, thus starting my life long love affair. I got my undergrad from the University of Ottawa and my masters and doctorate University of Toronto where I studied with Judy Loman. Now I enjoy a busy career of freelancing and teaching in Toronto. What challenges have you had to overcome as a harpist? Emily: I get nervous before every single performance, and I’ve had to spend a lot of time learning how to channel that energy into positive action. What is the best piece of technical advice you can give a student? Angela: Practice slowly, thoughtfully, and constantly checking your technique. Emily: Releasing my first cd this past September. Angela celebrated her marriage to musician Etienne Levesque in August. What’s your favorite solo piece to play? Angela: Right now I would have to say Castles in the Sand by Canadian composer Kevin Lau. What non-harp hobbies/sports/activities do you do? 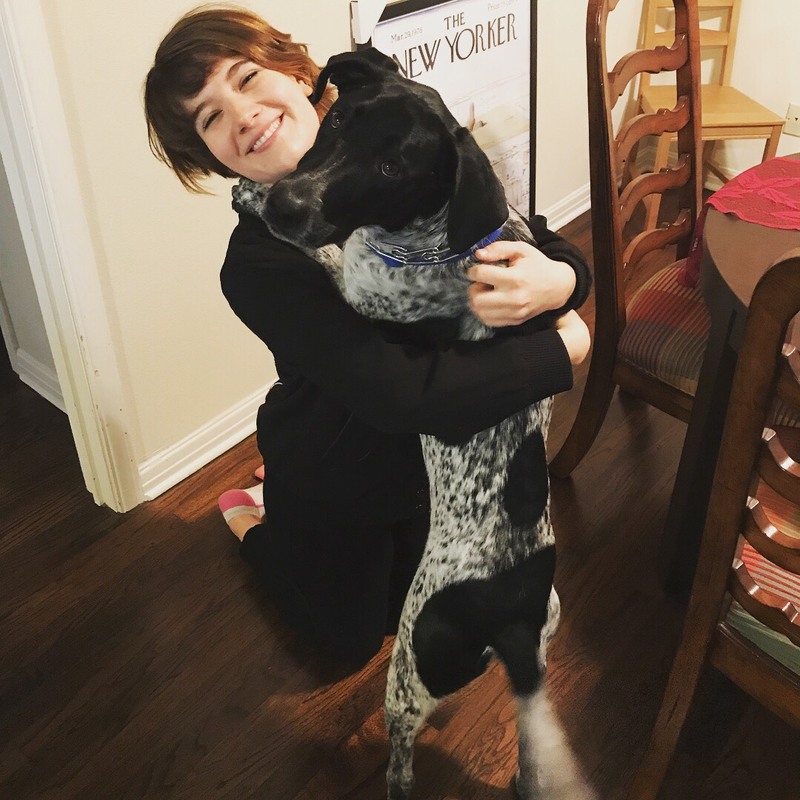 Emily: My dog is extremely energetic, so we are always outside exploring (thankfully Dallas stays relatively mild weather wise!). We just started an agility training class! I love traveling and learning about new places, and am a bookworm. And nerd alert–I do the New York Times crossword puzzle every morning. What’s one thing you have yet to knock of your harp to-do list? Angela: I have so many pieces I really want to learn but I think the Britten Suite is top of the list. Emily’s dog Charlie is a sweetheart! What are you most looking forward to about this summer? Emily: I can’t wait to explore a beautiful new campus, and be inspired by incredible YAHS students! Read more about the YAHS faculty at www.harpseminar.com/faculty.